Uber is receiving a new $500 million investment from Toyota, which would value the company at $72 billion, according to a person briefed on the deal, who was not authorized to speak publicly. With that investment, Uber plans to provide its self-driving technology to a fleet of Toyota minivans, which may be operated by the Japanese automaker or a third party, the companies said in a joint announcement. The fleet will also be equipped with Toyota’s safety software, called Guardian, and will pick up passengers on Uber’s ride-hailing network. The companies anticipate starting a pilot program by 2021. “This agreement and investment marks an important milestone in our transformation to a mobility company as we help provide a path for safe and secure expansion of mobility services like ride-sharing that includes Toyota vehicles and technologies,” Shigeki Tomoyama, executive vice president of Toyota Motor Company, said in a statement. Toyota’s investment was reported earlier by The Wall Street Journal. Since Dara Khosrowshahi became chief executive of Uber last year, the company’s self-driving program has been in a state of flux, and Uber executives have been divided over whether to sell the business or keep it. Developing and operating driverless cars is expensive, and Mr. Khosrowshahi has been attempting to trim back costs at the company in order to take Uber public by the end of 2019. And in March, a self-driving Uber struck and killed a pedestrian in Arizona, prompting the company to halt its testing there. But by teaming up with Toyota, Uber can keep testing its driverless technology in cars without the expense and hassle of maintaining a full fleet and owning the entire operation from top to bottom. Uber currently owns a sizable fleet of Volvo cars that carry its self-driving technology. The self-driving program is still undergoing a comprehensive safety review as a result of the fatal crash, although the company continues limited testing of autonomous cars in Pittsburgh. 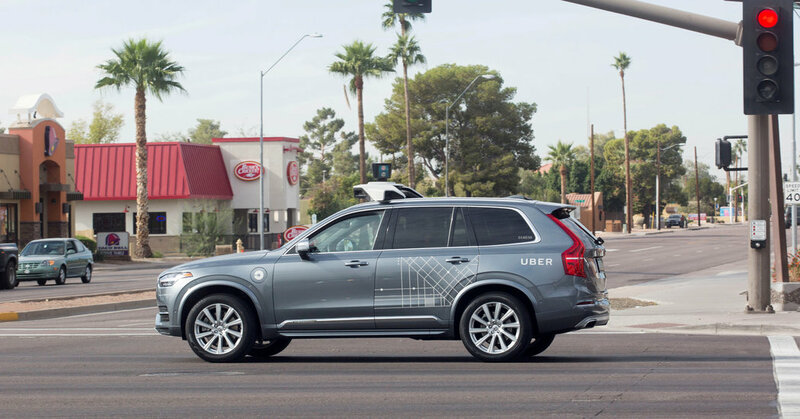 “Over time, Uber will transition from the business model we have with Volvo, where we are owning and operating our fleet, to this kind of partnership, where Uber is the technology provider,” Mr. Miller said. Uber is experimenting with several other business strategies around driverless cars, including a deal with the automaker Daimler. Daimler is developing its own self-driving technology for deployment on Uber’s ride-hailing service, although the agreement is not exclusive and Daimler could offer its vehicles with other ride-hailing companies as well. In testing a partnership approach, Uber is emulating a strategy that Lyft, a rival ride-hailing provider, is also pursuing. Lyft has worked with several companies on self-driving technology, including collaborating with an autonomous developer, Aptiv, to operate a small fleet of self-driving BMWs in Las Vegas. Lyft has also worked with auto manufacturers like Ford and General Motors to develop and test autonomous vehicle designs and technology, including putting self-driving vehicles on Lyft’s ride-hailing network in the future. Toyota and Uber have worked together in the past. In January at the International CES technology trade show, Toyota unveiled a new driverless concept vehicle and said Uber would be one of its partners, alongside Amazon and Pizza Hut.